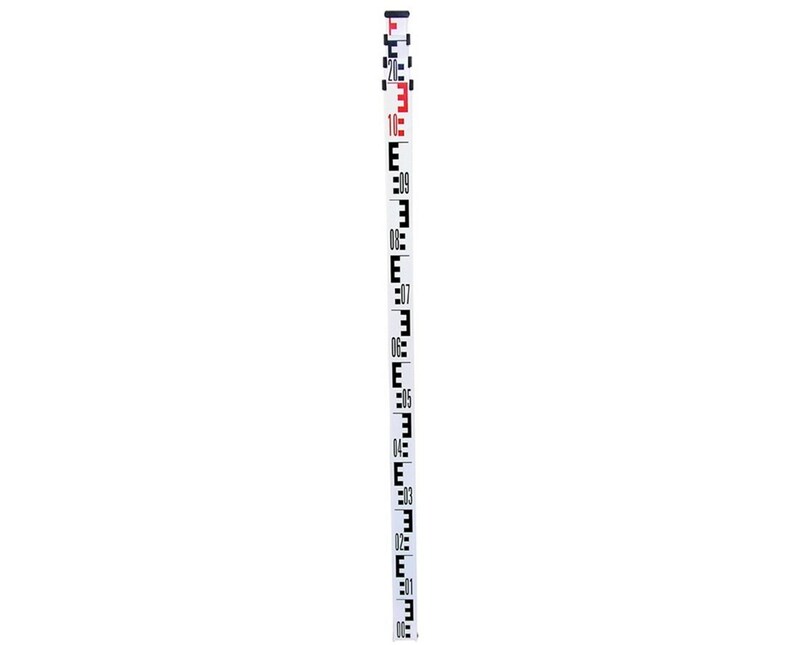 The Nedo Metric Aluminum Leveling Rod is a high-strength grade rod ideal for heavy-duty applications in construction sites and surveying fields. It features four or five telescoping sections that are made of aluminum material making this tripod durable and lightweight. It is available in two length variations—four meters and five meters—to suit different measuring needs. This leveling grade rod by Nedo is equipped with metal-enforced locking buttons that securely hold each section in position to ensure stability when in use. Its easy-to-read metric graduations in meters, centimeters, and E-metric provide measurements with great precision. With additional scale on its back, it also allows overall height reading. The Nedo Metric Aluminum Leveling Rod offers easy grip and maneuverability while working with its rectangular shape. When not in use, it retracts to a more compact size to enable convenient storage and hassle-free transport. It includes a one-year manufacturer’s warranty for long-lasting, reliable service. 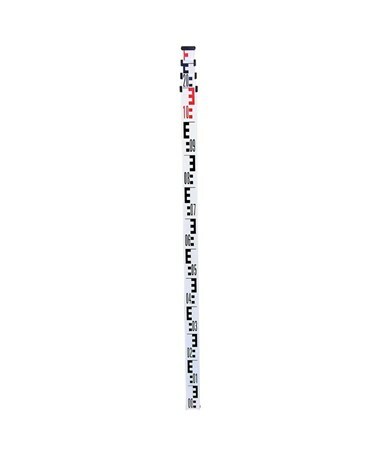 The Nedo Metric Aluminum Leveling Rod comes in two length variations to provide solution to most measuring needs. Please select your preference from the menu above. Weight 3.0 lbs. or 4.0 lbs.